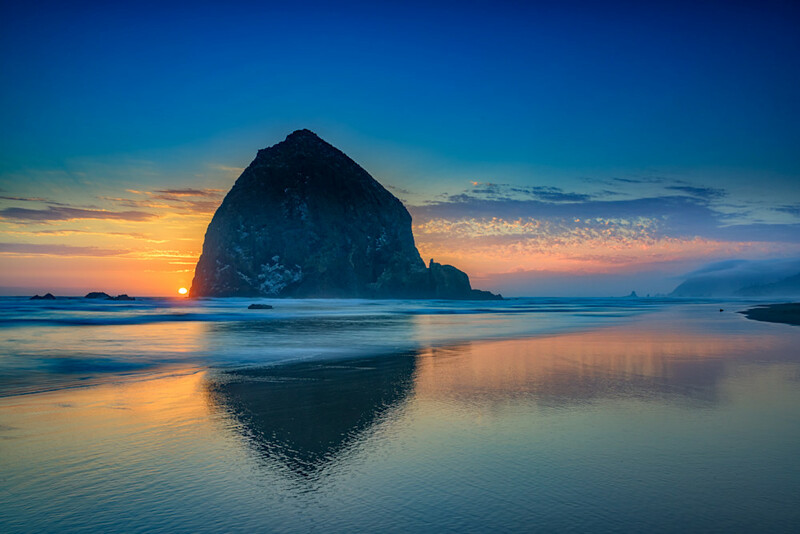 Haystack Rock appears to cradle the sun at the end of a summer day in Cannon Beach, Oregon. The sun sets behind Haystack Rock at the end of a summer afternoon on Cannon Beach. Haystack Rock dominates the landscape on Cannon Beach, known for its wide expanse of sand that becomes reflective as the waters of the Pacific Ocean wash over it. Fine art photo by Rick Berk.